She shares a closer connection to her Vittra rivals than she ever imagined—and they’ll stop at nothing to lure her to their side. With the threat of war looming, her only hope of saving the Trylle is to master her magical powers—and marry an equally powerful royal. But that means walking away from Finn, her handsome bodyguard who’s strictly off limits…and Loki, a Vittra prince with whom she shares a growing attraction. Torn between her heart and her people, between love and duty, Wendy must decide her fate. If she makes the wrong choice, she could lose everything, and everybody, she’s ever wanted…in both worlds. Torn is just as addicting as Amanda Hocking's first book in the Trylle Trilogy, Switched! From the intriguing history of the tension between the Trylle and Vitrra to the charming characters surrounding Wendy, readers will be captivated. The most favorable aspect of Torn is that the story picks up right when Switched ended. There's enough background information to remind readers of events in the last novel, but it's not overbearing or wasted space. The story's pace is still quite fast. Amanda doesn't spend too much time in each scene, only long enough to set the tone and move the story along. A couple new characters are introduced and the story allows readers to better know the characters seen in the previous novel. Hocking takes a unfavorable path for character Tove as his sexuality comes into play in this version of Torn. It's a slightly cliché path and lessens the uniqueness of the novel. Tove makes decisions based on duty, but apparently that idea is not sound enough because his sacrifices have to have a more tangible reason. Readers will still grow in anticipation as Wendy learns the fate of her people and continues to prepare herself for her future reign as queen. 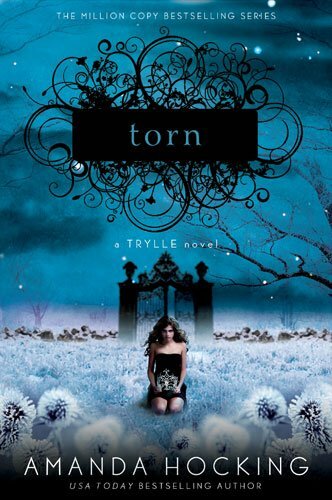 Torn is the next enchanting stop before the series finale in Ascend, where the fairy tale continues.